The average of a set of numbers is calculated by adding up the numbers, then dividing this sum by the count of numbers that are being averaged. On this same approach, we can calculate the average of a set of numbers by using the Excel AVERAGE function. Number1 – It is a required argument and can be entered as a number, cell reference, range, array or a mix of these. 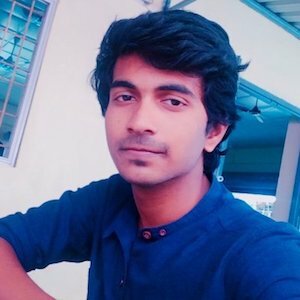 The function ignores the empty cell. Number2 – It is optional to add more numbers up to 255 arguments in total. 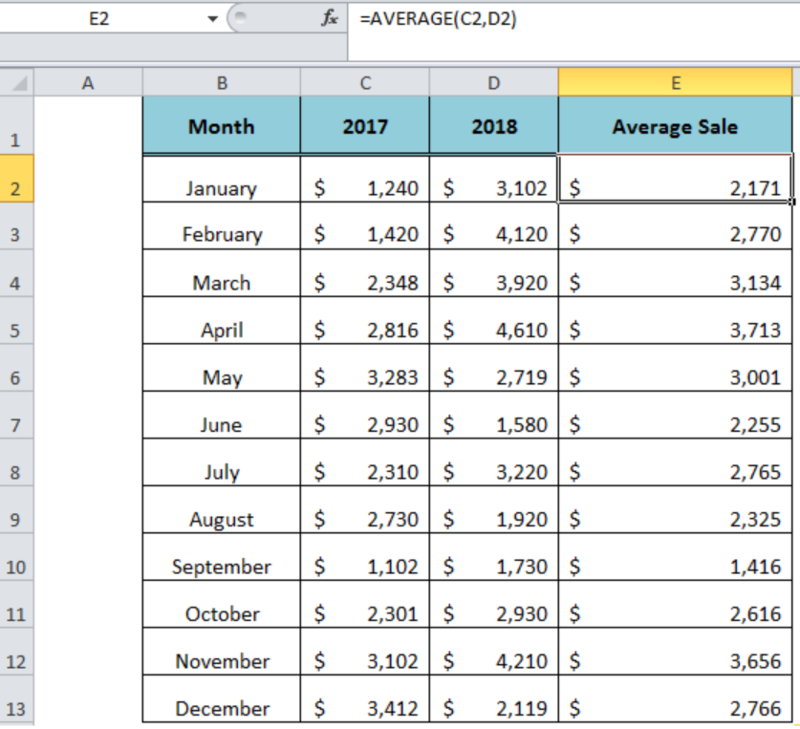 How to find monthly average and weekly average with VBA macro with multiple data(worksheet)? 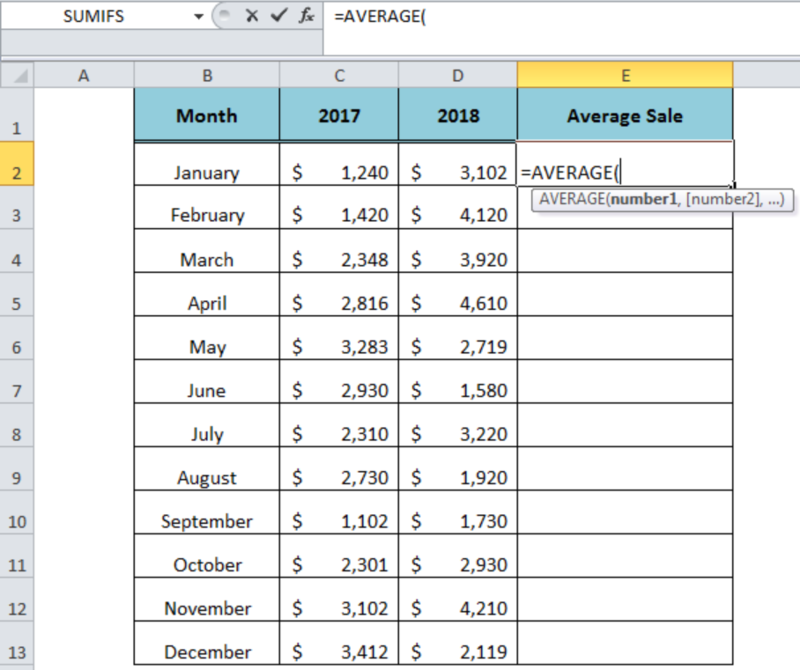 How do I create an average formula so that every time I update the month on excel the average ultimately changes without having to manually calculate the average? 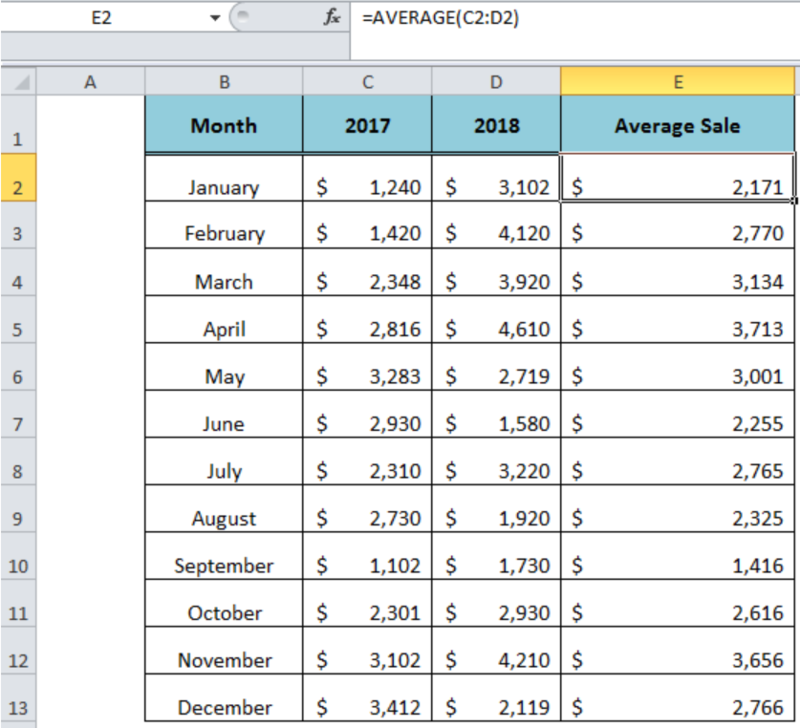 Modify the two Values fields to determine the average Issue Price and average Est. Value by type. 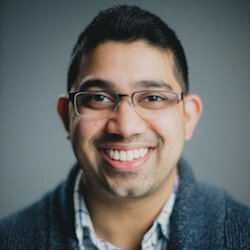 Change the custom name to Average Issue Price and Average Est. Value, respectively. 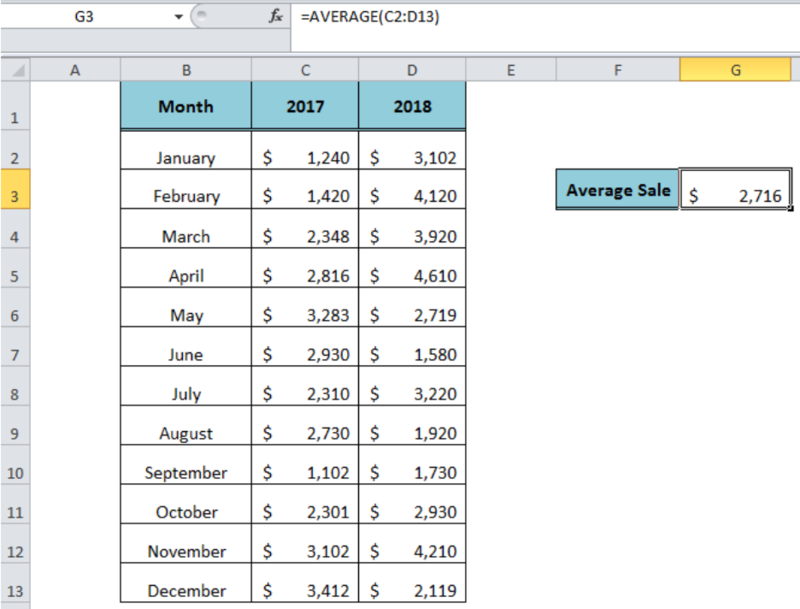 Why is my average value for my total hours/day column showing the wrong value. I used the average formula to take the average off all the rows.